Each gift to Valpo is unique. Whether you are an alumni, student, parent, or friend of the University, each time you make a gift it demonstrates your personal commitment to Valpo. Collectively, all support to Valpo ensures that our students, faculty, and programs have the critical resources in place to succeed. As you read each donor story and review the honor roll of donors, you will learn why they supported Valpo and how your support makes a difference. 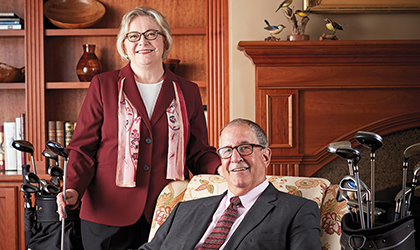 Connecting Passion to Purpose – BONNIE THALACKER ’70 RAQUET AND PETER RAQUET ’65, ’70 M.A. support Valpo’s Institute for Leadership and Service to help students find their calling. 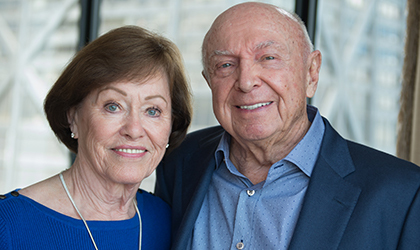 Theresa (Terry) Kessler’s appointment as the KREFT ENDOWED CHAIR for the Advancement of Nursing Science will have a greater impact on her students than on herself. As she has since joining the faculty of the College of Nursing and Health Professions in 1994, Terry’s personal scholarship, accomplishments, and professional development are directed toward enhanced learning experiences for nursing students. 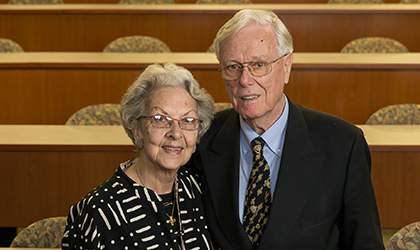 JAN AND PAUL SCHRAGE reflect on Valparaiso University’s impact on their lives and make long-term commitment to Valpo Athletics. 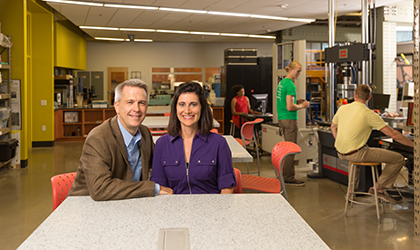 JULIE AND JASON WINKLER graduated more than 20 years ago and have continuously given back to Valpo with their service, contributions, and leadership. They are now serving as co-chairs of the Valpo Fund.